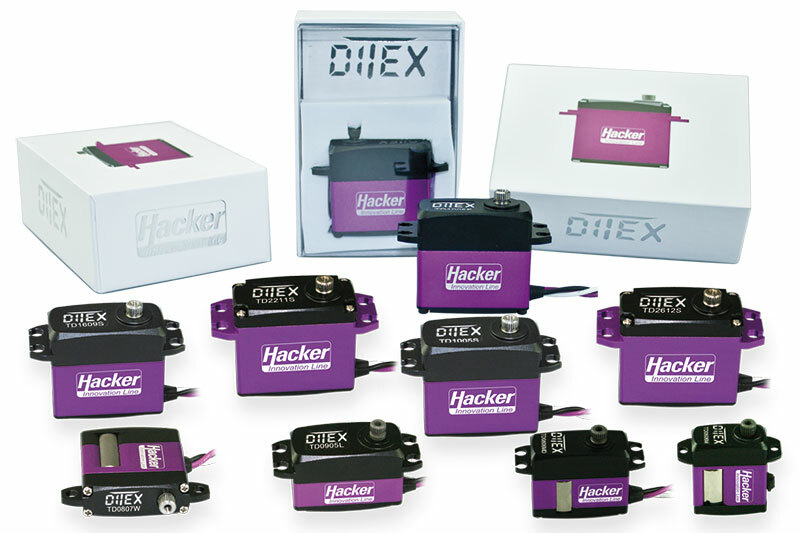 The DITEX servo line is a new product developed internally at Hacker. 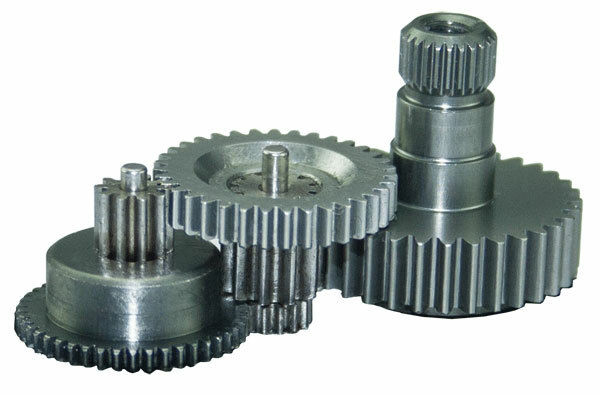 The goal was to develop servos that outperform all known servos with respect to precision, safety, strength and speed. They are also incredibly adaptable to the needs of individual applications and pilots using an elegant computer interface. Pilots have come to rely on Hacker specifications, and the specifications we release on these servos are uniquely reliable in the industry. 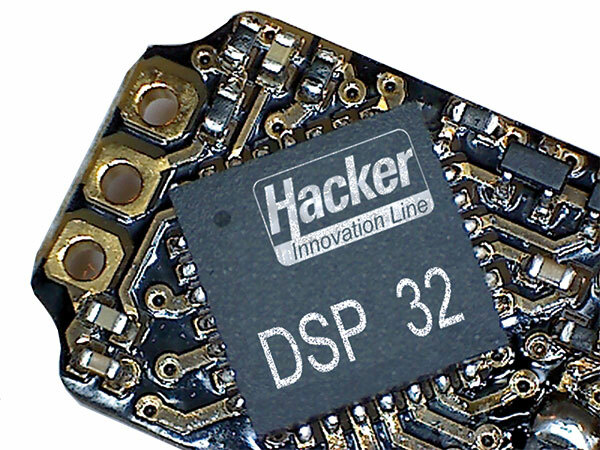 All modelers at heart, the Hacker engineering team sought to design an all-new servo to take advantage of the incredible advances in radios and electronic componentry. Advanced radio telemetry systems, such as JETI DUPLEX are capable of providing the modeler with real-time information from their models, and that should include data from the critical actuator servos. The Hacker team started with a clean sheet for the servo, no detail was overlooked. 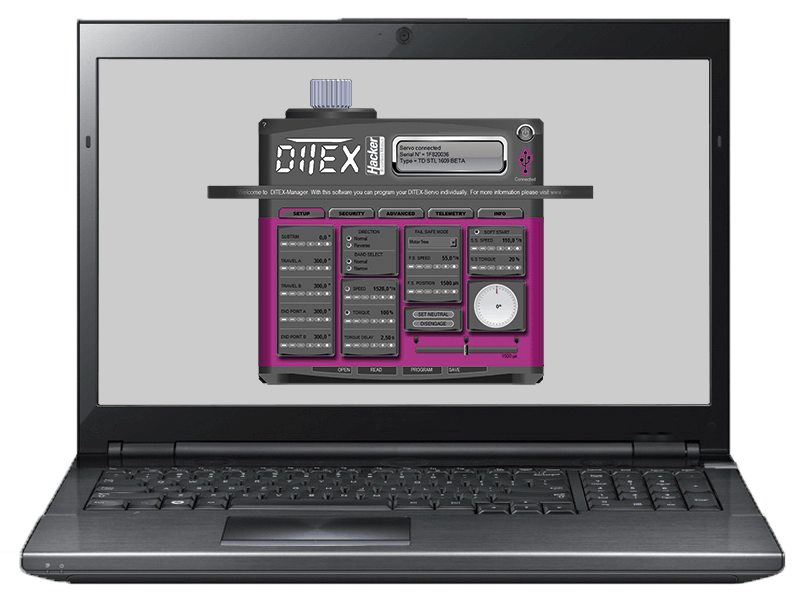 © 2017 DITEX SERVO Servertechnic by Hacker Motor GmbH – Industrial Solutions | All Rights Reserved.